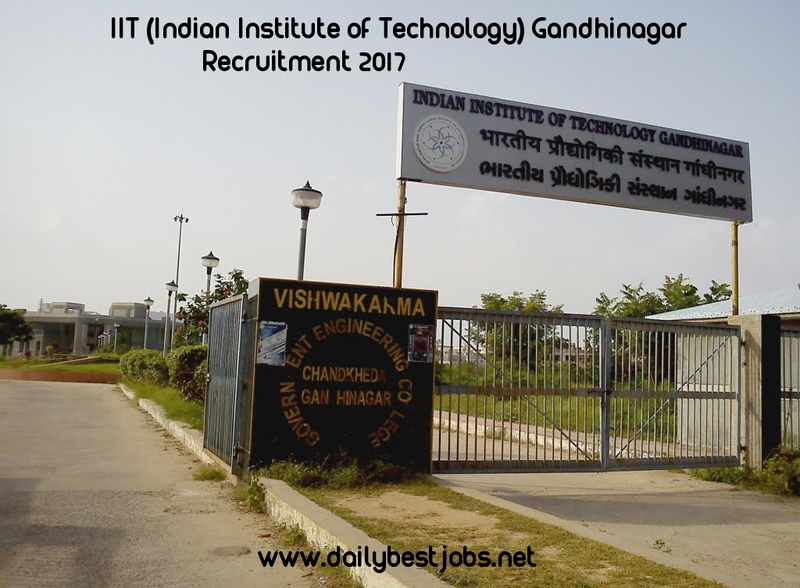 Indian Institute of Technology (IIT Gandhinagar) published a job vacancy for Junior Research Fellow post in latest job recruitment in 2017. They are expecting to join the best candidates or experienced person in IIT Gandhinagar. Check below for more details related to the job vacancy. Eligibility: Eligible candidates can apply for the Job Junior Research Fellow on or before 23/7/2017. Find the below for more information about this vacancy like Company, Selection Process, Qualification, Application fee, How to apply and more details. Job Address: Indian Institute of Technology (IIT Gandhinagar), Gandhinagar. For this Junior Research Fellow post, job application is accepting and read below for more details. (a) Position available: One Junior Research Fellow (JRF) under the following research project funded by the Science and Engineering Research Board (SERB), Department of Science and Technology (DST), Government of India. (e) Duration: Initial appointment for one year, extendable up to 3 years based on performance. (f) Minimum Eligibility: First class M.Sc. or M.Tech degree in any discipline of Life Science from a recognized University/Institute. Candidate should have valid CSIR NET / UGC or GATE or equivalent fellowship. An aptitude for learning new techniques is a must. (h) Research Description: Our lab is interested in understanding the cytoskeletal systems and their roles in intracellular trafficking in mammalian cells. Molecular motors of the kinesin and dynein families are mechanochemical enzymes that convert the chemical energy derived from ATP hydrolysis to mechanical energy to generate force and motion along microtubule tracks to carry cargoes (e.g. proteins, mRNA, vesicles, endosomes) towards the plus (kinesins) and minus ends (dyneins) of the microtubules, a process termed "intracellular transport". My research at IITGN is focused on major cellular and neuronal transporter of kinesin-3 family motors. In particular, I am passionately interested in understanding the molecular mechanisms of kinesin-3 based neuronal cargo trafficking, regulation, and their physiological significance. The mammalian kinesin-3 family is one of the largest of the kinesin superfamily and consists of five subfamilies. Kinesin-3 motors have been found to play important roles across species in intracellular and neuronal transport, development, cell signaling, and cytokinesis. Defects in kinesin-3 transport have been implicated in diverse genetic, developmental, neurodegenerative and cancer diseases. Despite their widespread functions and clinical importance, the mechanisms of kinesin-3 mediated intracellular transport, regulations and their deficiencies in the context of human diseases are largely unknown. Candidates can apply on or before 23/7/2017. No Detailed information about the selection process is mentioned in the recruitment notification. All interested and eligible candidates may send their CV to Dr. Virupakshi Soppina via Email: vsoppina@iitgn.ac.inLast and last date to Apply for this job 23/7/2017. Last Date to Apply for this job 23/7/2017. Hope our job posts are useful to all who are now looking for a job, for more new jobs, keep visiting our website.